The launch of the Emirates Centre for the Fourth Industrial Revolution, announced at the World Economic Forum (WEF) Annual Meeting in Davos this January, helps position the UAE as a world leader in addressing technological advancements and challenges. 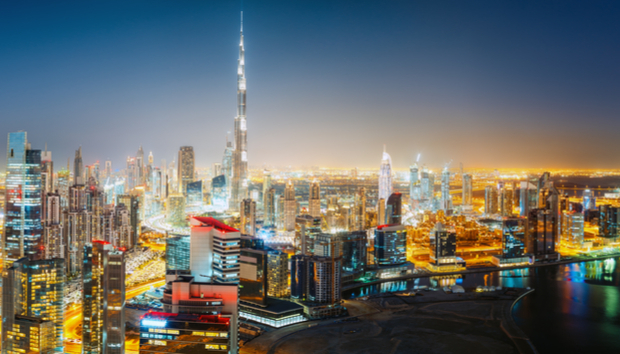 The UAE became a part of the WEF Centre for the Fourth Industrial Revolution Network last year, joining a global network of governments, businesses, startups and international organisations focusing on technology governance. The federation wanted a more active role in shaping the trajectory of the fourth industrial revolution and so talks began regarding an affiliate centre. The centre is the first in of its kind to receive a WEF fellowship and will be run locally by the Dubai Future Foundation. "Emerging technologies such as AI, blockchain and precision medicine are changing lives and transforming businesses. While they can enhance our lives, they can also pose new risks and ethical concerns. This network will be that bridge between technology and policy," says Amanda Russo, WEF's Public Engagement Lead. "The network's mission is to co-design and refine policy frameworks that can help governments regulate emerging technology. Teams develop, implement and scale up agile and human-centred pilot projects that can be adopted by policy makers and legislators worldwide." « IPv4 shortage: a timebomb for CTOs?